For the fourth straight season, Peter DeBoer has guided the San Jose Sharks to the Stanley Cup Playoffs. Thanks to the Colorado Avalanche's 3-1 win over the Minnesota Wild on Tuesday, the Sharks became the second team in the Western Conference to secure a playoff spot. The Calgary Flames, who the Sharks trail by three points for first place in the Pacific Division, were the first. 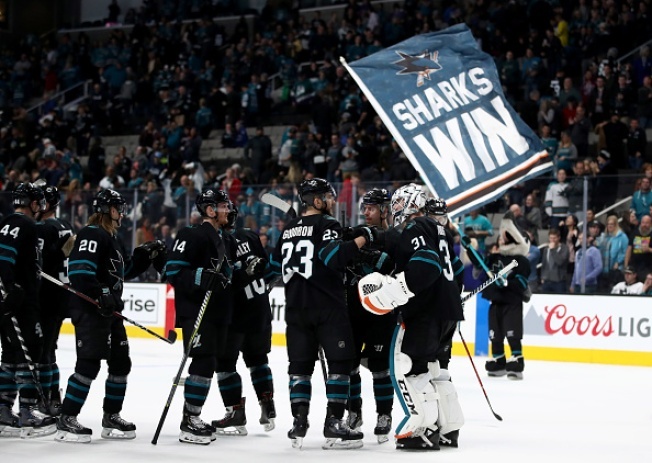 Last postseason, the Sharks lost in the second round to the Vegas Golden Knights. If the playoffs started today, second-seeded San Jose would match up with third-seeded Vegas in the first round. DeBoer took over as the Sharks' coach in 2015 after the franchise ended a 10-year run of making the playoffs. The Sharks made it to the Stanley Cup Final in his first season, but haven't advanced past the second round since. The franchise is also seeking its first Pacific Division crown since the 2010-11 season. A division banner would be the first of DeBoer's career as an NHL head coach. Sharks playoff tickets go on sale starting at 10 a.m. March 27. Fans can register for presale access to tickets on the team's official website.